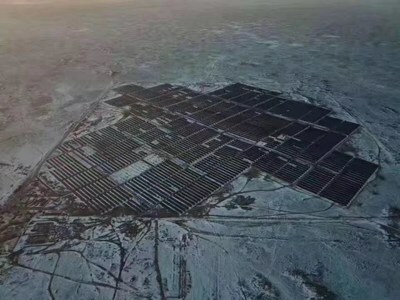 NINGBO, China, Jan. 30, 2019 /PRNewswire/ -- Risen Energy Co., Ltd. announced recently that its 40MW photovoltaic power station project in Kazakhstan has been formally connected to the grid. As the first privately-owned enterprise investing in the construction of photovoltaic power stations in Kazakhstan, the implementation of the project is of milestone significance for the solar panel maker's global roadmap. Risen Hong Kong general manager Champion Yuan said, "The project held its groundbreaking ceremony in June 2018 and connected to the grid in December, fully reflecting the strength and efficiency of Risen Energy's workforce. As a result of designing and building the 40MW power plant, we have a comprehensive understanding of the market and regulatory environment in Kazakhstan. The replicable construction experience is expected to help overseas teams to better participate in the development of follow-up projects. We also hope to use this as an opportunity to help more Chinese brands effortlessly enter the Kazakhstan market, share in a piece of the pie, and contribute China's prowess across the sector to the cause of global green development."